Intelligence For Your Life - Dogs Make People More Active! Sorry about that, no articles matching '' were found. Dogs Make People More Active! Having a dog makes us happier and healthier, you know that. Petting a dog releases the feel-good bonding hormones oxytocin and dopamine, reducing our stress and lowering our blood pressure. Dogs also make people more active. Research shows that dog owners take nearly 3,000 more steps per day than non-owners. That’s an additional 23-minutes a day of moderate exercise. Well, now a new study from the Center for Diet and Activity Research at the University of Cambridge has found another health benefit for dog owners. Dog owners are also significantly more active during the winter. Generally speaking, in winter, when the weather is cold and there’s less daylight, all of us are less active. 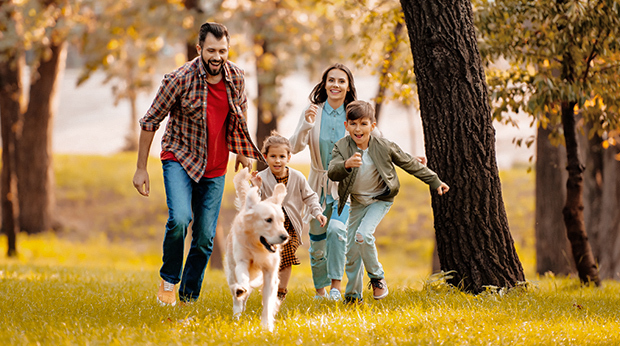 But the researchers discovered that, even on days with bad weather, dog owners were more active than non-dog owners were on even the nicest days - like long, sunny, and warm summer days. So even when the weather was at its worst, dog owners still walked an average 12 more minutes a day, compared to non-dog-owners on the nicest days. So what? Well because so many of us are sedentary, sitting for an average of 10-hours a day, owning a dog could be a good way to make people more active overall and get the recommended 30 minutes of moderate exercise we need daily.